When the feminist, historian, author and political activist Margaret Ward was completing a degree at Belfast’s Queen’s University she asked the authorities why no research had been done on women in Irish history. Undaunted by such prejudice Margaret Ward wrote Unmanageable Revolutionaries, a classic text exploring the role of Irish women from 1881 through the 1916 Rising and beyond. The book focused on three nationalist women’s organisations - the Ladies Land League, Inghinidhe na hEireann and Cumann na mBan. 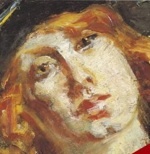 Margaret also published In Their Own voices: Women and Irish Nationalsim and Maude Gonne: A Life. She is also an authority on Hanna Sheehy Skeffington, suffragette and founder of the Irish Women’s Franchise League and the Irish Women’s Worker’s Union, a champion of women’s rights and Irish freedom until her death in 1946. Margaret Ward’s writing of women back into Irish history challenged the standard historical text that ignored, omitted or played down their significance at important junctures in the struggle for national independence and gender equality. Speaking at a Sinn Féin event to mark International Women’s Day, Margaret Ward traced the presence and the relationship between women activists and their male comrades in the struggle for independence and the tension and clashes that frequently arose between them, as women tried to open space for their views and men tried to close the space down. For many women activists of that era it was akin to the idea, advocated by republicans, that ‘labour must wait’ only in this instance it was ‘women must wait’. And while the argument that ‘labour must wait’, in the national interest, was defensible that was not the case in relation to equality for women inside the independence movement. Women have paid a high price for their involvement in the republican struggle - many died and hundreds were imprisoned while thousands more looked after their families while their partners were active or in prison or died in the conflict. The passing away this week of life-long Belfast republican activist Marie Moore brings to mind not only her considerable contribution to the republican and women’s movement in Belfast and elsewhere but the challenges in times of war and peace that Marie Moore and her generation of women faced. Women today are active in all walks of life. They are to be found in women’s organisations, voluntary and community organisations, trades unions, businesses, the media, political parties, in councils and parliament, the legal profession. Indeed whereever people gather for whatever purpose there you will find women. There are hundreds of women’s organisations in rural and urban areas dedicated to promoting gender equality and women’s rights. Some attended Sinn Féin’s International Women’s Day event: Women’s Information Group, Women Into Politics, Women’s Centres Regional Partnership, Gender Focus, Equality Commission for Northern Ireland and Tar Anall. Her story charts the journey of a determined group of women who lived in west Belfast through the conflict - some were participants in it - all dedicated to changing society where it impinged on women’s rights. Irish society and society in many parts of the world has changed considerably since Margaret Ward encountered ‘women-blindness’ in academia. But more work needs to be done to ensure that women are at the centre of decision making, especially in government and parliament. Only 18 MLAs are women out of 108 members of the assembly. Sinn Féin appointed two women ministers out of their eight, the SDLP one out of four and the unionists none. That is the real test. Where there is real power, can men step aside and allow women in?